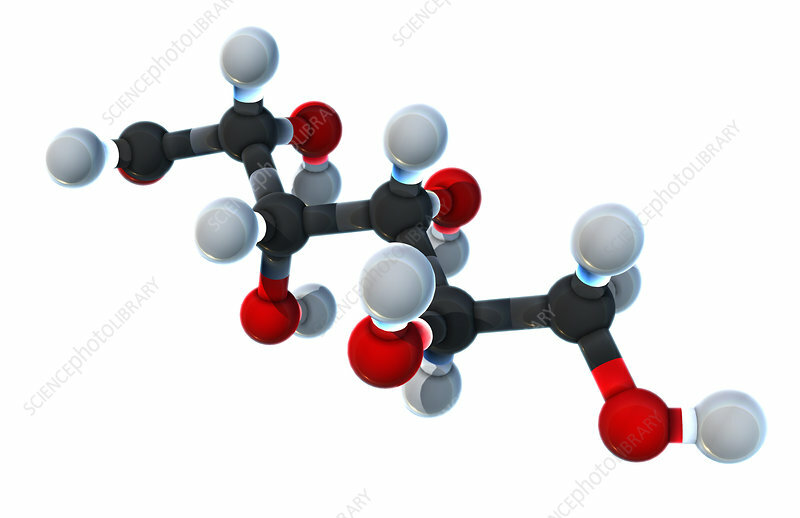 A molecular model of glucose, a monosaccharide essential for the process of cellular respiration in order to produce energy in the form of ATP. Glucose is produced in plants through the process of photosynthesis, and is one of the main dietary sources of energy for animals. In humans, glucose is stored in the liver and muscles as glycogen. Atoms are coloured dark gray (carbon), light gray (hydrogen) and red (oxygen).